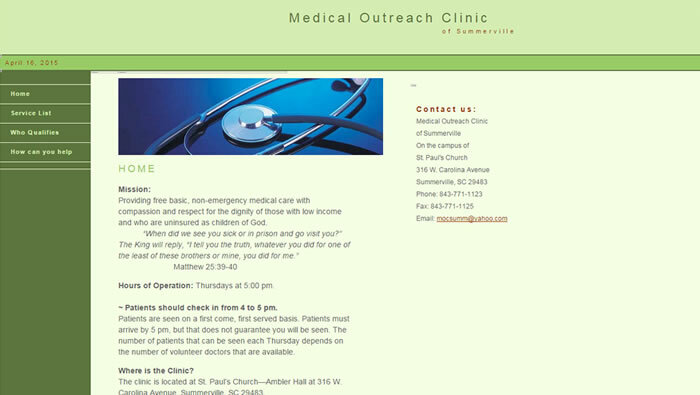 Medical Outreach Clinic of Summerville, a small free clinic in South Carolina, needed an uncomplicated, mobile viewing and user-friendly website, to replace their antiquated one that was little more than an electronic brochure. 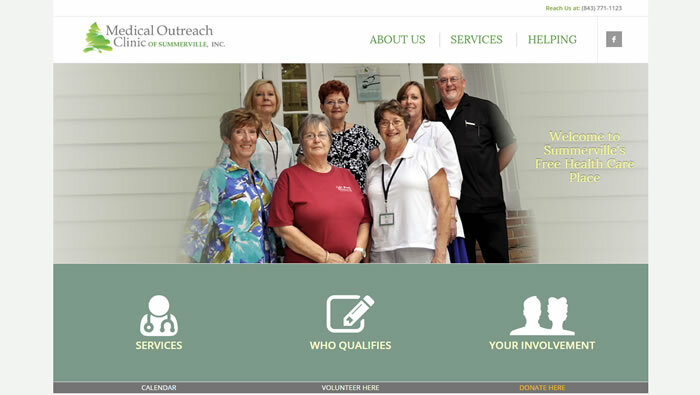 They desired to have the ability to post articles while incorporating social media opportunities. They also needed a logo that would better identify their brand. 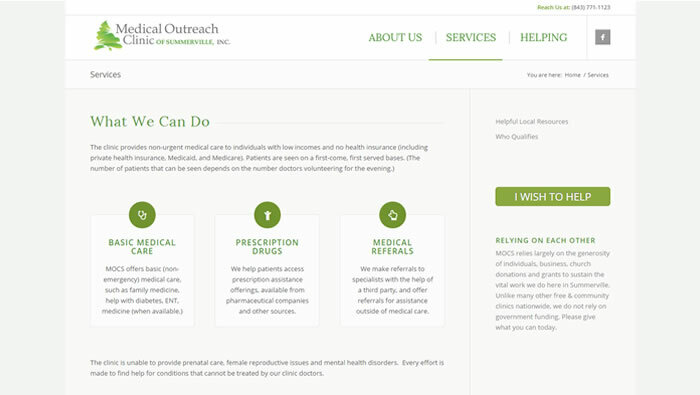 The design of the home page incorporates three primary buttons set just below a comforting “jumbo” image which all views above the scroll. The blog area for the featured announcement, which is partnered next to the combination Google Map and hours of operation box, responds well within any screen size. The third level displays a set of pie charts that showcases the ratio of overhead costs to benefits and services to the community. The Donate Here option to its side is intended to boost donation activity. 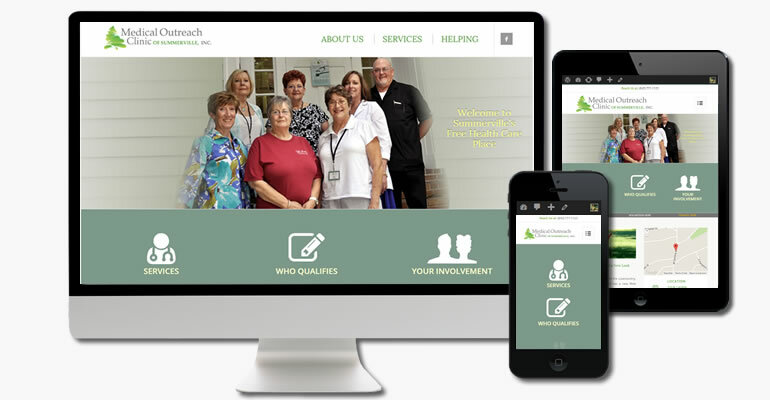 The new logo better reflects this clinic within the town known as “Flower Town in the Pines.” Finally, the website is built on WordPress, utilizing a premium theme, which will allow website updates and further development to be made easily.